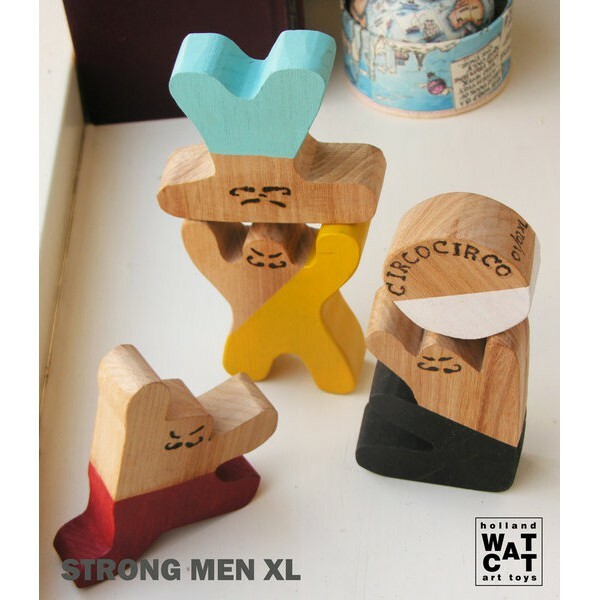 STRONG MEN is a stacking and balancing toy made in high quality hard wood 3 cm thick. There are many possibilities of combinations and it is nice to see. 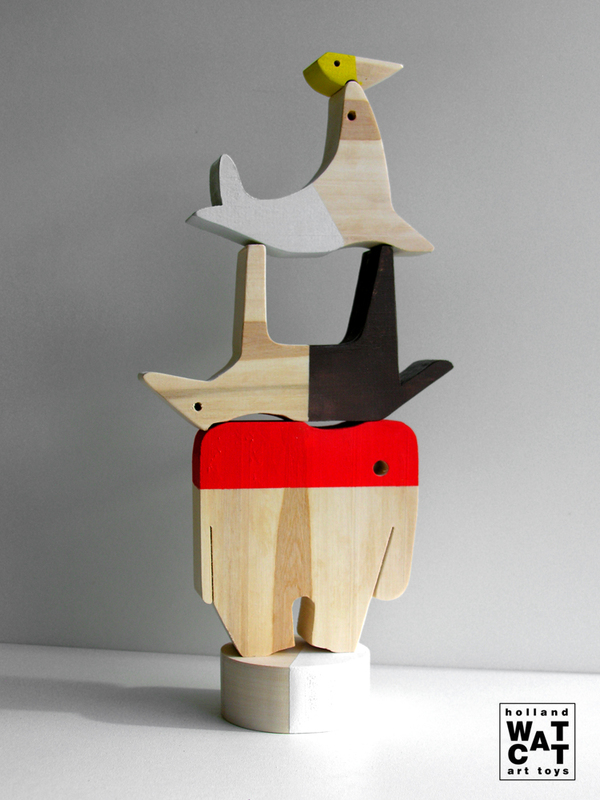 ANIMALS ACT is a stacking and balancing toy or a sculpture, something we can play with. It is made in linden wood, a light, silky and good smelling wood. 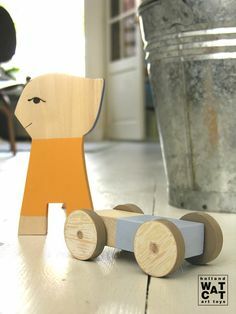 LION TAMER is a is a stacking and balancing toy. It consists in a set of 3 lions in different positions, a rond form, and the tamer. The figure form permits several combinations and each side of the pieces has a different drawing. All drawings are handmade. 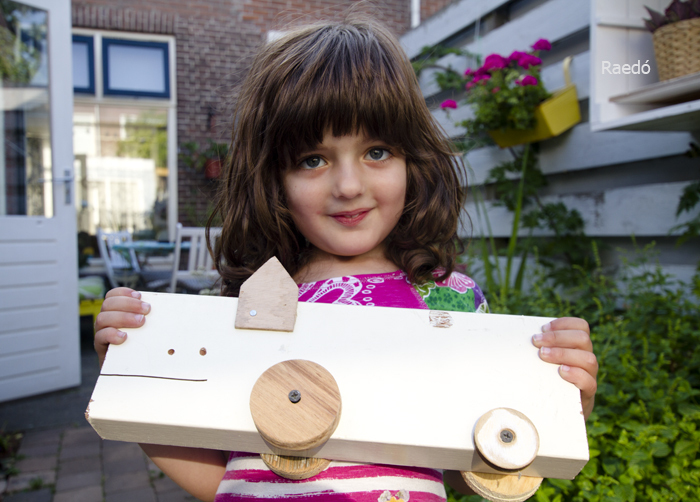 BIRD FISHES is a stacking and balancing toy. 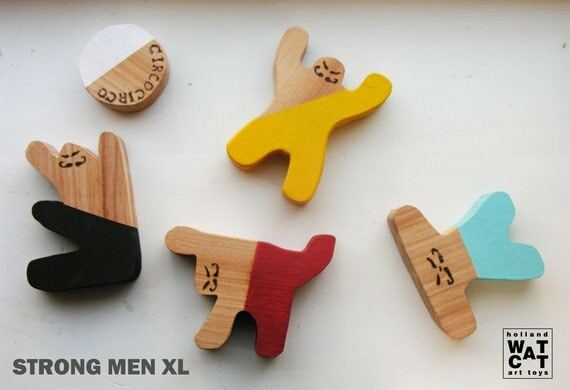 It consists in a set of 6 pieces which permits many play possibilities. Are they three fishes, or six? or are they birds? how many? 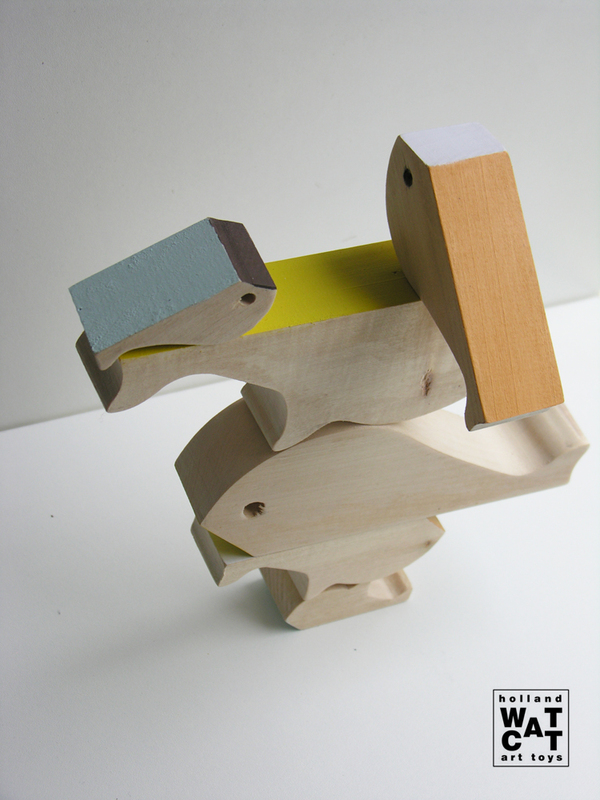 A very nice abstract sculpture toy to awake kids fantasie.